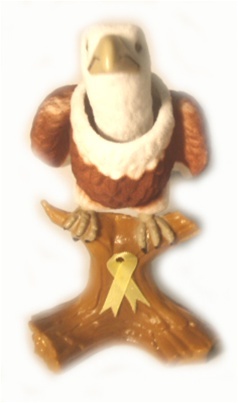 Tap the head of these 6" tall, bald eagle shaped bobbleheads, and watch it nod and wobble. Comes with double stick tape. There are 12 bobbleheads per display.